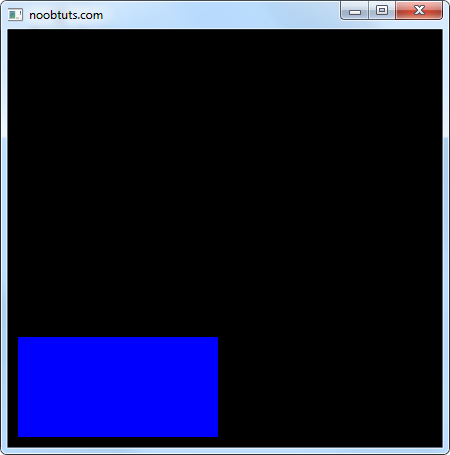 This article explains how to use Python + OpenGL to draw a simple rectangle. As usual our goal is to do it in the easiest way possible, so everyone can understand it. OpenGL is a graphics library that is used amongst all kinds of systems: Windows, Linux, Mac, Smartphones and more. OpenGL is the way to go when it comes to throwing 3D graphics at our screen. OpenGL's biggest competitor is Direct3D which was created by Microsoft. The downside of Direct3D is that it only works on Windows, so if one day we would decide to make a game on Linux, we would have to re-learn another graphics library. To save us from that redundancy, we will just use OpenGL from the beginning. Besides that, once understood OpenGL actually makes a lot of sense while being relatively simple. In order to use OpenGL in Python, we first have to install Python and figure out how to use it. If you don't know how to do it, then please read our Default Python IDE tutorial first. In order to use our beloved OpenGL library in Python, we will have to install something first. After the download was finished, we just install it. Note: in case you encounter a '_base_glutInit' TypeError when trying to run the code from this tutorial, then you will need to download FreeGlut, extract it, go into the freeglut/bin folder and copy the freeglut.dll file to the same directory where you store your .py file with the code for this tutorial. If you don't get any errors, then don't worry about it. That's it, we can now use OpenGL in Python. If we run it, the console pops up and asks us how to make a game. No errors occurred, everything worked fine. Note: those are the standard imports for OpenGL, just always use them and you will be fine. So the first thing we want to do is create our window. We will need a window variable that holds our window id, a width and a height variable, and a few GLUT function calls. If you never heard about GLUT, it's just a little library that wraps all kinds of complicated OpenGL things into little functions (like creating a window or drawing text). Please make sure to read the comments in order to understand what exactly happens when. The code above is the default construct to initialize OpenGL and create the window and start everything. The most interesting thing about the initialization code is the glutDisplayFunc(draw) call. It tells OpenGL that it should call our draw function over and over again. If we want to draw something, we would do so in our draw function then. Now you might noticed something similar in there: glutIdleFunc(draw). This basically tells OpenGL to draw our things all the time, and not just every time the user interacts with the window. If in doubt, always use glutDisplayFunc and glutIdleFunc. Note: the draw function will be called about 60 times per second completely automatically. The concept is called callback. This is the most important thing to know about OpenGL: the draw function always starts with a black screen (after calling glClear to clear the screen and glLoadIdentity to reset the position) and then draws our players, monsters and landscapes. In the end it calls glutSwapBuffers to make double buffering possible (we don't worry about what that is), and then it starts all over again with glClear (and so on). Okay let's be honest, we only want to draw a little rectangle today, no complex monster that changes its position. But the monster example is great to understand how OpenGL works. Alright, we want to draw a rectangle. But where? This means that the bottom left part of our window is (0, 0), the bottom right part is (500, 0) because our window has the width of 500 pixels. The top left part would be (0, 400) because our window has the height of 400 pixels, and the top right part would be (500, 400). Note: those are (x, y) coordinates. For example: (2, 5) means x=2 and y=5. Again it's always the same concept in OpenGL: we tell it to start something, then we do whatever we want to do and then we tell it to stop it again. This is how everything in OpenGL works! Note: just put that function above our draw() function. We want to use our draw_rect function in there, but wait. The screen is currently black and if we would draw a rectangle, it would be black too. Hence we wouldn't see anything. In order to draw our rectangle in something different than black, we will use the glColor3f function. The function takes three parameters, which are the red, green and blue parts of the color. The parameters have to be between 0 and 1. Which means that (0, 0, 0) would be black and something like (0.5, 0, 0) would be a dark red. OpenGL is a incredibly powerful graphics library which allows us to draw things in 3D and in 2D. But wait, we forgot to tell OpenGL that we want to draw our rectangle in 2D! Please don't try to bend your mind around that code, as you won't understand it without a lot of OpenGL knowledge. 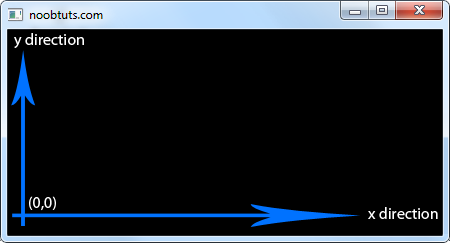 It looks so complicated because we don't actually tell OpenGL to draw things in 2D. What we really do is set up our screen and our perspective in order to look like it was 2D. Hence the complicated looking code. Just keep in mind to call that function before you want to draw things in 2D. 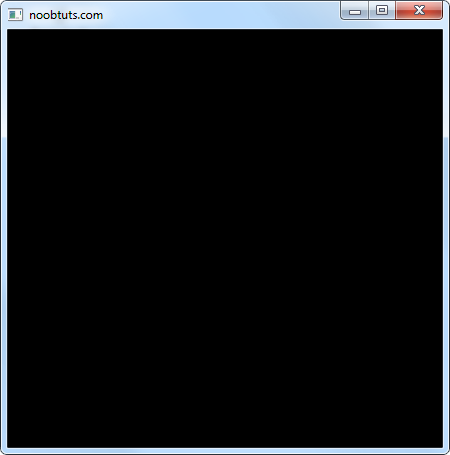 That's how to work with OpenGL in Python. From that point all other OpenGL techniques are straight forward. For example, if we would want to use a spaceship texture for our rectangle, we would do it the same way we set the color, just with the OpenGL set texture function. A small advice on your journey through OpenGL: a lot of the OpenGL tutorials out there are overly complicated. OpenGL is actually a really nice and simple library to work with.